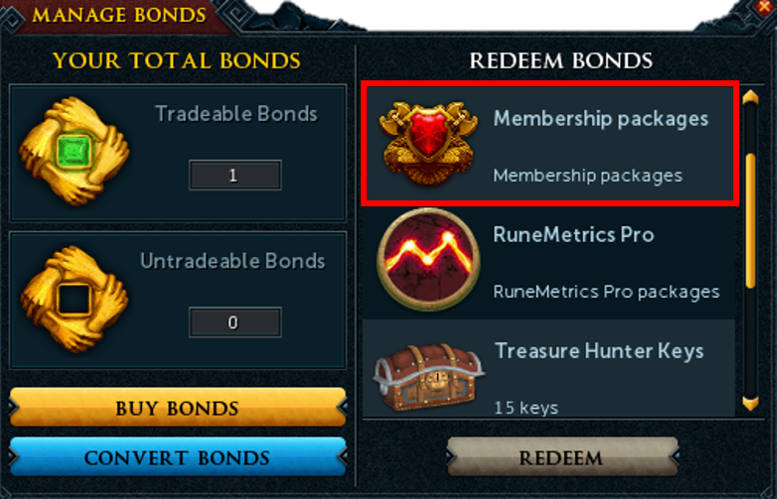 New to Bonds? 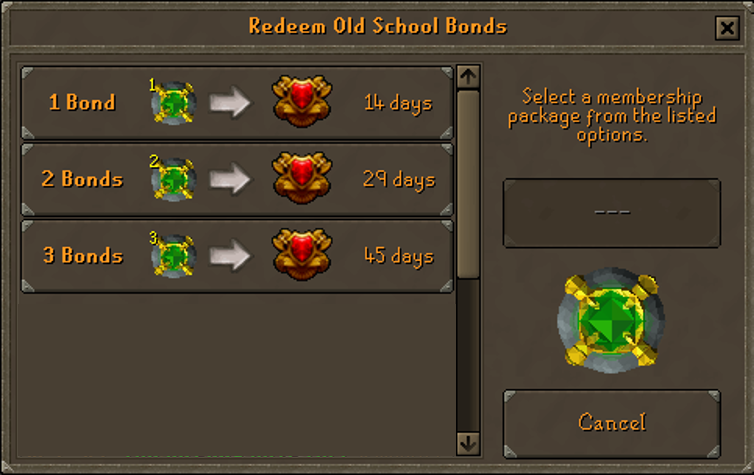 Find out how to use them! 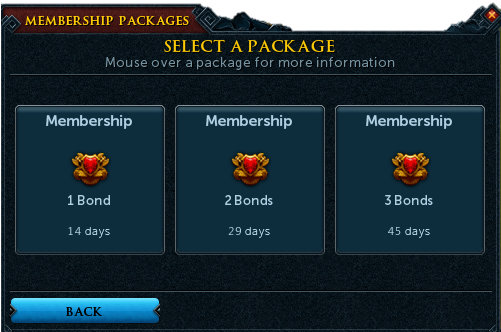 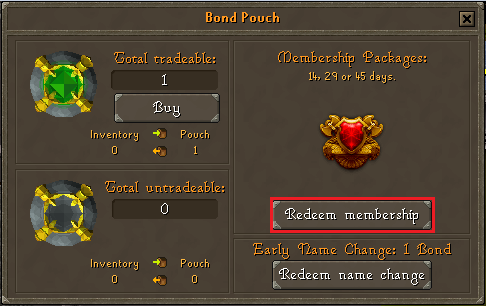 Bonds can be redeemed for membership which can be used on both your RuneScape and Old School accounts with the same login details.